We take the time to get to know each new patient and answer any questions you may have, and always do what we can to make you feel comfortable throughout your entire visit. This is particularly important because putting off dental visits can impact your oral health and turn small issues into bigger ones. 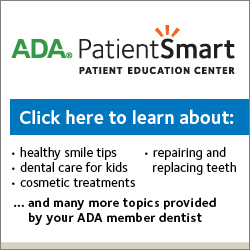 The American Dental Association recommends dental visits every six months for regular checkups and routine cleanings. Your comfort is very important to us, and our staff wants to provide you with the best possible experience. We know a trip to the dentist can cause nervousness or fear for some, no matter what your age. On your first appointment with us, we will take digital x-rays, and do a thorough exam to determine if any dental treatment is needed. The exam involves checking your teeth and gums for cavities and early signs of gingivitis. Please keep in mind a dental appointment can take between 45 and 90 minutes, so make sure to schedule enough time in your day when making your appointment. MCDC is committed to providing the highest quality of oral health care in the gentlest manner possible. Once you visit us, you will find that our staff is friendly, helpful, and always ready to answer your questions or help you.